Since there are various types of hydrangea bushes, hydrangea pruning instructions may vary slightly with each. Although hydrangea pruning care differs, all hydrangeas can benefit from the removal of dead stems and spent blooms each year. Pruning hydrangea bushes is not necessary unless the shrubs have become overgrown or unsightly. You can safely remove spent blooms (deadhead) anytime. However, there are a couple deadheading tips to keep in mind for optimal results. Try to keep cuts above the first set of large leaves or only cut down to the last healthy buds. This ensures the safety of any developing blooms for the next season. When pruning hydrangea bushes that have become overgrown, cut stems to the ground. Although this may delay blooming the following season, it helps revitalize the plants. 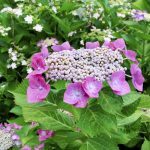 All types of hydrangea respond well to occasional pruning, but it’s important to know what variety you have as hydrangea pruning care varies. 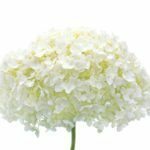 Understanding how to prune hydrangea bushes according to their particular type and individual needs is important for the overall health and vigor of hydrangea plants. Hydrangea pruning care techniques and when pruning hydrangea should take place differs. Big Leaf Hydrangea (H. macrophylla) includes the commonly grown mophead and lacecap varieties. 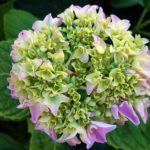 When hydrangea pruning care should be performed for these sometimes varies. Generally, they are pruned in late summer, after blooming has ceased. However, some people prune them in fall while others do so in spring. As long as you do not cut any stems that have not bloomed, leaving healthy buds intact, they should be okay. Prune weak stems to the ground and cut or deadhead spent flowers and stems to the last bud. Oakleaf Hydrangea (H. quercifolia) gets its name from the oakleaf-shaped leaves. These hydrangeas are typically pruned in early spring, as their colorful fall foliage is oftentimes a welcomed sight in autumn. Many people also enjoy leaving the flower heads over winter for additional interest. Pee Gee Hydrangea (H. paniculata), also known as Panicle, usually flowers on the current season’s growth. 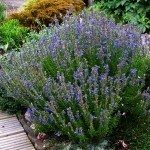 Therefore, they are generally pruned in late winter or early spring just before summer blooming. They can be pruned in fall as well. This type of hydrangea can also be pruned into a tree form, as it exhibits an upright growth habit. Annabelle Hydrangea (H. arborescens) are usually pruned in the summer following spring blooming. Some people choose to prune them to the ground in late winter or trim dead growth in early spring just prior to blooming. Climbing Hydrangea (H. anamala) often does not require pruning. Hydrangeas of this type produce flowers from side shoots, which can be pruned in fall after blooming has ceased. Cut back shoots to the last healthy bud. When to prune hydrangea bushes varies and is not an exact science. Keep in mind that pruning hydrangea is not always necessary, and unless the situation calls for it, they can simply be left alone. Removal of spent blooms and dead stems each year should be adequate for maintaining healthy hydrangea bushes.